Oh, I am so happy to finally be in Italy! My grandma, Ginia, travelled to Italy many times with her boyfriend Dante. She loved it there! The ship sailed into Livorno, the Tuscan region of Italy on Tuesday morning. From here we could travel to Florence to see where the Medici Family made their fortune in banking and art. Florence became a breeding ground for some of the world's greatest painters, sculptors, scientists, and architects. Not too far from Florence, another genius by the name of Galileo graced the region with his presence. In Pisa, you will find the Leaning Tower where he supposedly demonstrated his scientific findings! I chose an excursion to wine country to go to my very first wine tasting! What better place to experience wine making than an actual winery in Italy? Christy and Jeff headed out to Pisa, while Ronna and I headed for a tour bus to take us on a one hour drive through tuscany to The La Torre Vineyard. We arrived at the La Torre Vineyard and we are taken to the place where the wine is processed and barreled, after viewing the cellar, we are seated for the wine tasting. They do not spit the wine out here, no sir, they pour you a glass and we enjoy with plates of salami, bread and cheese, oh YUM! We were served a glass of La Torre's White, their Cabernet Sauvignon, and their Sirah. It was very good. After lunch we enjoyed walking the vineyard and the grounds. We headed back on the bus where everyone, full of cheese and wine and bread, napped for the hour ride back to the ship! This excursion was a highlight of my trip and I am glad to have missed the crowds at Pisa for a nice relaxing lunch at an Italian Vineyard!! Monday the 10th, we arrive at our second port, Villefranche. The French Riviera is a posh destination for the rich socialites and celebrities. The riviera stretches from St. Tropez to Menton, it includes such towns as Cannes, Nice, Monte Carlo. Monte Carlo belongs to the Principality of Monaco, governed independently and ruled by Prince Albert II, a direct descendant of the Grimaldi family who have reigned since 1275. Our excursion for the day will be a bus ride to Monaco and Monte Carlo. We drive along the coast and pass the place where Grace Kelly crashed her car and flew off a cliff, we also pass villas on the hillside belonging to Elton John and Bono. We arrive at the Jacques Cousteau Museum, there were no tours that allowed us entrance to the museum, which was odd, as we would have surely chose to go. Instead we tour the mausoleum where Grace Kelly and Prince Rainier are buried. I do not like to photograph burial plots, I find it offensive. Call me odd. We are now free to roam the little streets filled with shops and cafes. 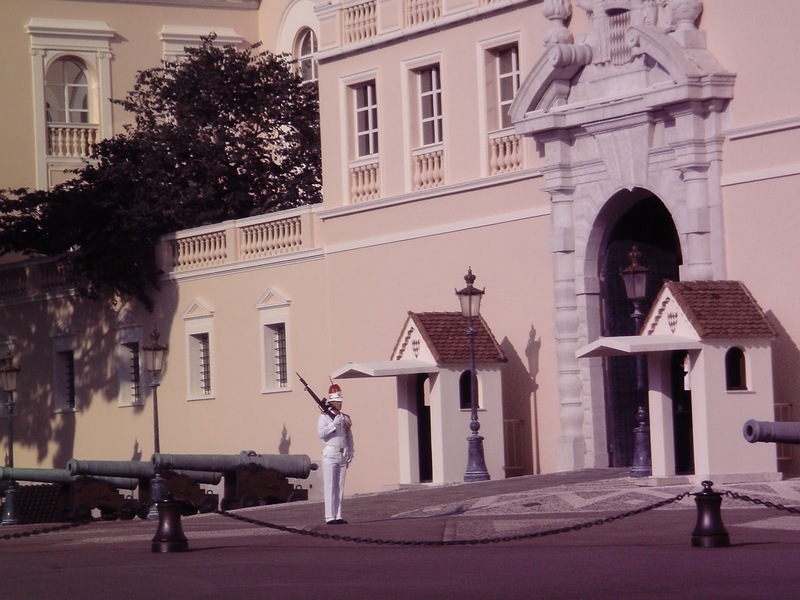 We also get to see the Palace of Prince Albert II, he actually has guards who march back and forth out front! We finally board the bus and head off to Monte Carlo. When we arrive we have to walk up to the Casino parkway, it is a bustling place with the rich dining alfresco, we are allowed to walk around but I was not feeling well so I chose to sit down at the meeting point and rest. I don't really enjoy seeing such lavishness and opulence, some people are just too rich and it gets a little disgusting with their extravagance. I did enjoy the view of the marina with all the beautiful boats and yachts. Yes, I would splurge on a yacht in a heartbeat! 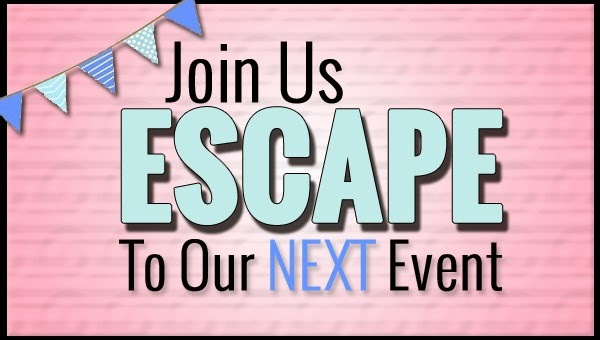 We head back to the ship for a relaxing dinner and more music trivia in the schooner bar! We really rock those games, we are such music lovers in this family!! One of the highlights of the trip - those trivia games! Information about Princess Grace Kelly, she is quite famous, held to a high revere, like Princess Diana! 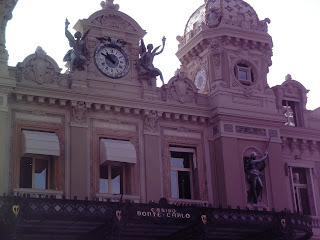 The world famous Monte Carlo Casino! Ok, I am going to try to be a little more informative on my travels, like Tanya from Bead and Needle , she is so precise on her information, it is like history class on her blog, go check it out, she is writing about her summer travels! Sunday morning the 9th, we docked in Toulon, France. Our excursion for today will be to see Bandol and the Beach! Bandol is a small town with a peaceful little port, packed full of quaint shops and cafes. We hop on the tour bus and enjoy the drive to the beach, I believe the bus rides were one of my favorite things on the trip, I love going for drives, just ask my hubby, if he mentions a car ride I am in the front seat like a puppy dog, head out the window! Plus, the rides were a great way to actually see the towns away from the touristy spots. We arrive in Bandol and start the walk along the shops and cafes, just us girls, Jeff decided to go sit in the sand and put his toes in the water, plenty of time for that later, girls gotta shop! We got a little hungry so we stop in a cafe and had salad and wine. Perfect! Off to see the beach where I put my toes in the water of the Mediterranean Sea! Back on the bus for the ride to the ship, we will be dining with the Captain tonight! Courtesy of one of Jeff's friends who works for Royal Caribbean. Nice! It was a lovely dinner, I sat between the Chief Engineer and the Ships Doctor! After dinner we went to the schooner bar and played music trivia, one of our favorite pastimes on the cruise ships. Caprese Salad, love the fresh mozzarella balls! I did not care for the wine in France. My toes in the Sea! I am in red, Ronna in brown, Christy in blue, the Captain in white! 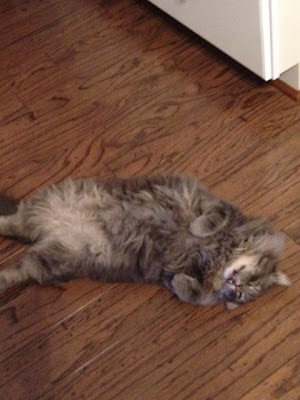 I just have to interrupt my trip to post this photo of sammy...or as we call him "dead kitty". He actually lays around the house like this and when you walk up on him, you swear he is dead!! I am so glad he never ventured far from home while I was gone, and during the great flood Charlie made sure he was safe and warm with him. I love those two boys so much! I am glad they had each other while I was off seeing the world! Ok back to the trip tomorrow! We left Madrid on Saturday the 8th. We took a taxi to the train station and boarded the high speed train for a ride to the Barcelona port, what a fun ride! We got to the port and boarded the cruise ship Liberty of the Seas, of Royal Caribbean. We walked all over the ship to get our bearings then had a nice dinner and I slept all night as the ship cruised it's way to France! I sleep so good on the ocean, must be the pisces in me! Really comfy, they feed you and pamper you on board as well! Balcony to watch the world sail by! My Travel agent gave me a bottle of zin! We enjoyed it over a nice relaxing dinner! First stop was Madrid Spain. We stayed at the Mercure Hotel. It is old and run down but I think everything in Spain is old! Haha! My favorite part was the Ginos restaurant across the street, the ravioli carbonara was too die for, I will try to recreate it here at home, so check back for that recipe! If you visit Madrid, stay on the Gran Via Street, it is the most widely used blvd and has tons of shops, churches and takes you to the Prado museum and the Park behind it is the one thing to see in Madrid! I loved the fact that when you eat in Europe there is always a bottle of wine on the table! I was able to taste many wines and the Spain wines were my favorite! 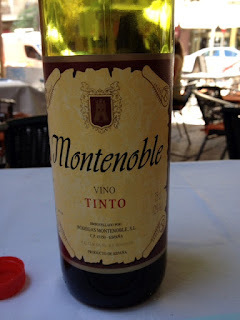 There is a picture of a red wine Ronna and I sampled at lunch at an outdoor cafe in Madrid, it was sooooo good! A Church we walked into off Gran Via, I almost cried at the pure holy-ness inside! Madrid taken atop a hill on a bus tour we took to show us all of Madrid! Wow, I was gone 12 days. In that 12 days, I saw Spain, France, Italy, and Spain again!! 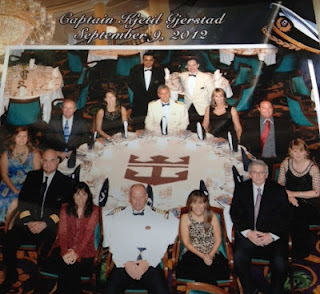 Christy, Jeff, Ronna and I left for Madrid on Sept. 4th stayed 3 days there, then got on a cruise ship and spent 7 days cruising around France and Italy! I am off on an adventure! I will talk to you all when I get back!